Verbena, which is also referred to as vervain or verveine, originates from the Celtic language, meaning to drive away. In ancient times, it was believed that verbena had the power to expel evil spirits The Romans and Egyptians held verbena to be a sacred herb, while modern uses include treating inflammation, digestive and metabolic disorders. Verbena is a perennial, annual or semi-woody plant with oval shaped leaves and small flowers. Preferring a sunny patch of garden, verbena is ideal for attracting butterflies and other wildlife. The flowers of the plant range in color from blue to white, with some varieties offering rich hued purple buds. Verbena belongs to the Verbenaceae family, with roughly 250 species of the plant hailing from Europe, North America and South America. What is Verbena Tea Good For? Warm verbena tea bags may be used for rheumatism or headache pain, although direct contact with the skin may leave a slightly pink color for a brief period following treatment. What Does Verbena Tea Taste Like? Verbena, particularly lemon verbena tea, offers tea mavens a delicate fresh taste that is really incomparable to other citrus teas. Often compared to chamomile, verbena offers a slightly grassy undertone that is neither sweet nor sour, but falls nicely in the middle of the two extremes. Frequently used as a base for other teas or as a tea blend, verbena is undoubtedly subtle, while still offering a well-defined clean-cut flavor and slightly floral scent. Classic verbena can taste decidedly bitter, although this can easily be remedied by pairing tea leaves with sweeter or more favorable flavors. Antioxidant qualities – The National Institutes of Health found that the antioxidants in lemon verbena were bifunctional and worthy of evaluation as an ingredient in antioxidant beverages. Antibacterial properties – In vitro studies report that lemon verbena extract has an antibiotic effect against Staphylococcus aureus, Escherichia coli and Myobacterium tuberculosis. Anti-inflammatory action – Verbena also has anti-inflammatory and analgesic activities, promoting a healthy immune response in studies conducted by NIH. Anti-cancer effects – One study reported by NIH, found that verbena had an anti-tumor effect in mice, offering an inhibition rate of almost 39 percent. Equally exciting, verbena had no negative effects on the immune systems of the mice, suggesting the possibility that vervain may be a powerful anti-cancer agent. Neuroprotection activity- Phenylpropanoid glycosides, a component found in verbena, were found to have significant neuroprotection activity, promoting a healthy nervous system. Used in Traditional Chinese Medicine, verbena is a “cool” plant, used to reduce swelling, detoxify the body and activate the blood. In Ayurvedic medicine, verbena is also considered cooling and pungent, commonly used as analgesic and antibacterial. Currently being studied for everything from weight loss to improving white blood cell count, verbena is rich in vitamins, antioxidants and healing chemical compounds. At only two calories per cup of tea, verbena packs a potent vitamin C punch. The four phenolic acids found in vervain are thought to provide protection against oxidative damage such as cancer, stroke and coronary heart disease. Equally important, the many flavonoids found in the plant are vital in regard to cell signaling, which protects the body from disease and aging. Are There Any Side Effects From Verbena Tea? Pregnancy and breastfeeding – Pregnant and breastfeeding women should avoid consuming verbena, as WebMD reports that information regarding the safe use among pregnant or breastfeeding women is lacking. Allergies – Verbena, when used on the skin (tea bags for acne or infection), can cause skin irritation in some people. 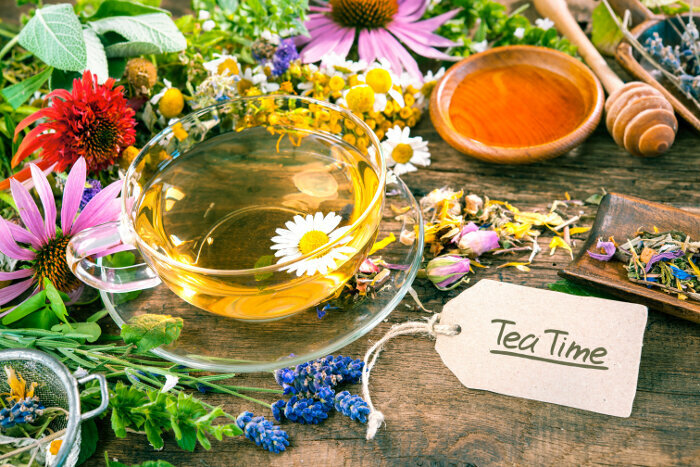 Medications – There is currently no reliable information concerning interactions with medication in relation to verbena tea. Stomach Upset – Verbena tea may cause slight stomach upset in a small number of individuals, particularly when used in medicinal amounts. Rinse fresh leaves or scoop dried leaves into tea ball, add water that is almost at boiling point and let the tea steep for up to five minutes. Add organic honey or a sprig of mint, relax and enjoy. While verbena tea is gaining in popularity, finding classic verbena can be a bit of a challenge. Companies such as American Tea Room and Harney and Sons are great sources for loose leaf and bagged verbena. Typically lemon verbena can be found in most health food or tea stores. Popular brands include Traditional Medicinal Teas, Tea Haven, The Republic of Tea and Celebration Herbals. Who Can Benefit From Verbena Tea? Verbena is truly a wonder tea for people struggling with weakened immune systems or stomach issues. It’s also a fabulous choice for people who want to protect or improve their health, especially those who are concerned with future development of dementia, cancer, arthritis or other age related health issues. 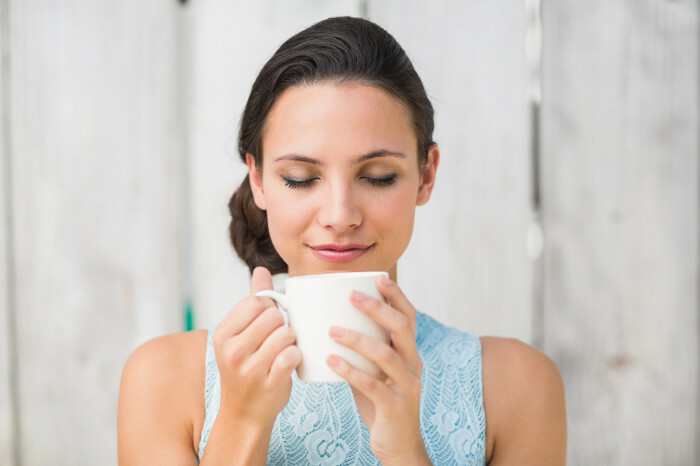 Of course, anyone can give their immune system a little more oomph with a daily cup of verbena herbal tea, making it a smart cold and flu season pick. Although lemon verbena is widely hailed as a delicate tea, classic verbena is something of an acquired taste that can leave novice tea drinkers with a bit of a pucker. While having anti-cancer properties and soothing the stomach, verbena can be a bit too strong for those already suffering from gastrointestinal issues, particularly chemo-induced nausea. Overall, lemon verbena is the best choice for most people in regard to flavor, and tea connoisseurs lose nothing in regard to health benefits by switching to the lighter lemony zing. Verbena, also known as the herb of the cross, is reported to have been used on Christ’s wounds, supposedly giving it its healing powers. Ancient folklore suggested that verbena should be worn around the neck to protect against snakebites and headaches. A verbena infusion was believed to ward off vampires, as well as rekindle love. Handy. The verbena flower has no fragrance.